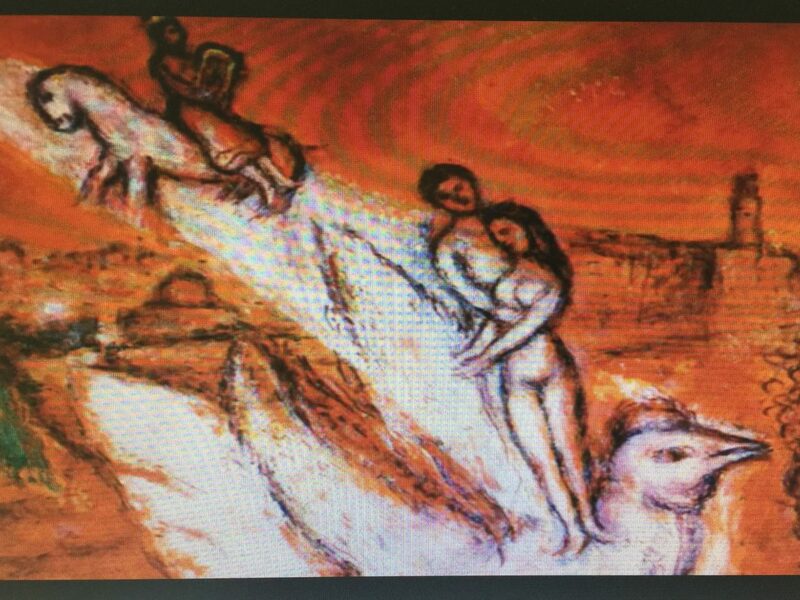 So said Rabbi Akiva (2nd century Palestine), who understood that The Song of Songs is an allegory between two lovers, God and Israel. The Kabbalistic tradition teaches that the love in the Song reflects higher events inside God’s metaphysical structure. It is read each year on the Shabbat during Pesach, and we at Temple Israel of Hollywood will celebrate the Song of Songs and our community’s milestone wedding anniversaries this Friday evening, April 6 at 6:30 PM in our Shabbat services. Shelly Fox, our Director of Music and Cantorial Soloist, with our quartet and pianist Michael Alfera will present some of the most beautiful musical settings for the Song of Songs. Many of the melodies were composed in pre-statehood Palestine. Our milestone wedding couples (celebrating 5 to 65 years of marriage will read love poetry. If you live in Los Angeles, come and celebrate with us. Marcia Falk, The Song of Songs – Love Poems from the Bible (New York & London: Harcourt Brace Javanovich, 1977). Pages 1, 4, 6.